Lepanto is a boho wedding dress made of a pretty embroidered silk tulle and a beautiful halter neckline with a triangle-shape cutout. It can include a short or long lining by request. This wedding dress is made to measure in our bridal atelier, and it’s perfect for a beach wedding. 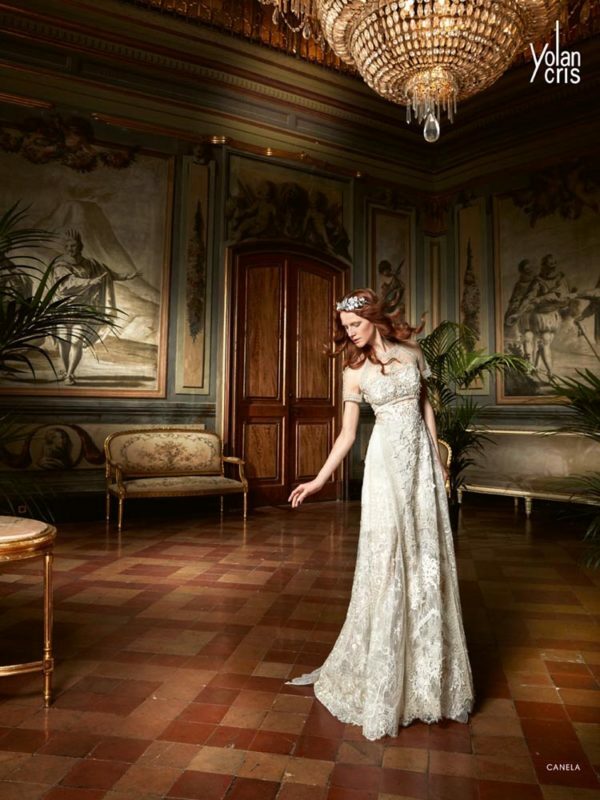 Each wedding gown from Novia is custom made in Barcelona, Spain. Sue will take your measurements here at Novia and will meet with you again for a final fitting once your dress has arrived. You will need to allow three to four months for your dress to be created in Spain and shipped to New Zealand. We advise you to allow time for Sue, or your own tailor, to do a final fitting and make any final alterations required.